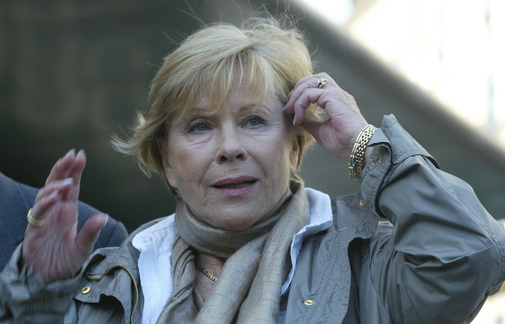 Swedish actress Bibi Andersson , known for her roles in the films of legendary director and compatriot Ingmar Bergman , has died this Sunday at age 83, her daughter Jenny Grede Dahlstrand told AFP. Andersson starred in several Bergman classics such as 'The Seventh Seal' (1957), 'Wild Strawberries' (1957) and 'Persona' (1966). The actress began working with the director when she was only 15 years old, in several advertisements of the Swedish soap brand Bris directed by him. She received several awards, among them the Silver Bear for Best Actress at the Berlin International Film Festival in 1963 for her role in Vilgot Sjoman's 'La amante' (1962). His first film credits came in 1951 and he continued working and starring in films until 2009, when he suffered a stroke that paralyzed one side of his body. His daughter explained that Andersson left a mark on the lives of many people. "It leaves a great void for each of us who had the privilege of being close to her," said Grede Dahlstrand. Jan Holmberg, general director of the Ingmar Bergman Foundation, told AFP that, although Andersson became closely linked to Bergman, she was an artist in her own right. Andersson often played simple characters and, at times, poorly written characters, but "he took those roles and made them much bigger," Holmberg said. The final interview Borja Cobeaga: "It is offensive to compare what happens in Catalonia with what happened in Euskadi"
Listened to - new music: a miracle!